The tour we took on this day was titled “Scenic Suzhou.” A town of great scenic beauty, Suzhou was founded in the 5th century BC and inspired the famous Chinese proverb, ‘In heaven there is paradise; on earth Suzhou and Hangzhou.’ The bus ride took about 1.5 hours through what was once the countryside and today is mostly built up to reach Suzhou. 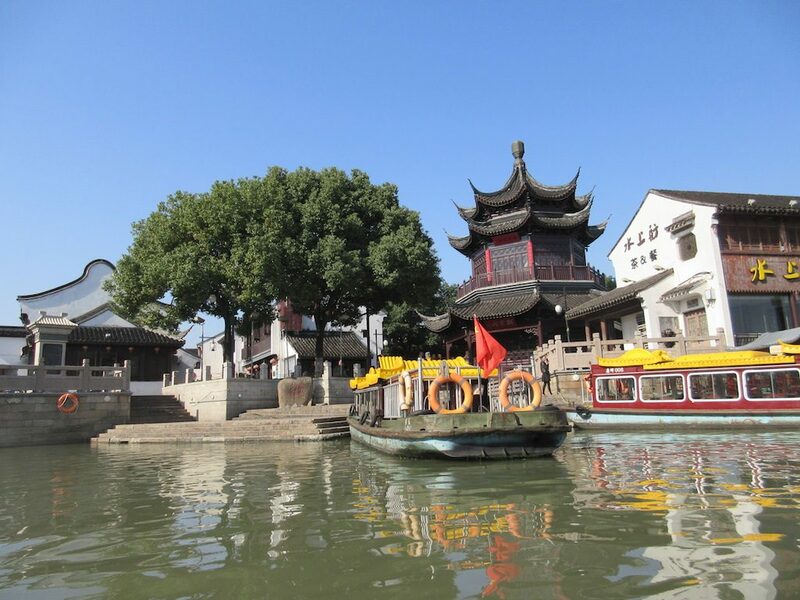 First, we took a boat ride on the Grand Canal to see the beauty of Suzhou—whitewashed houses with gray tile roofs, old stone bridges spanning a spider web of waterways, women washing clothes in the river, and children playing nearby. These canals were hand dug long ago (about 250 BC?) but have stood the test of time and are still interesting to see today. The boat we rode in was an old wooden boat that seated about thirty people and was diesel powered. Most of the homes here do not have modern plumbing so locals have to use public toilets installed along the streets. Recently the government has begun to relocate local residents in hopes of renovating these old structures into shops and hotels but to keep the historic nature of the structures. Next, we stopped at the Silk Embroidery Research Institute to learn more of this region’s important contribution to the silk and textile industry. There we saw how local families make a living making elaborate silk embroidery art work. The silk threads used in the embroidery are very fine and have an extraordinary luster to them making the pieces bright and colorful. Some pieces are one sided like a wall hanging while others are double sided and require a stand and glass to appreciate both sides of the embroidery piece. They create florals, dragons, carp, kittens in all types of sizes from quite small to very large. Some of the embroidery pieces take years to stich because of the complexity and detail of the pieces. After our visit to the silk institute we had lunch at a local hotel called the Garden Hotel. The lunch was a traditional style Chinese lunch served at large tables of ten with a lazy Susan in the middle of the table. We enjoyed about ten different dishes including rice, eggplant, pickled seaweed, crab apples, chicken, fish, pork, spinach and more. 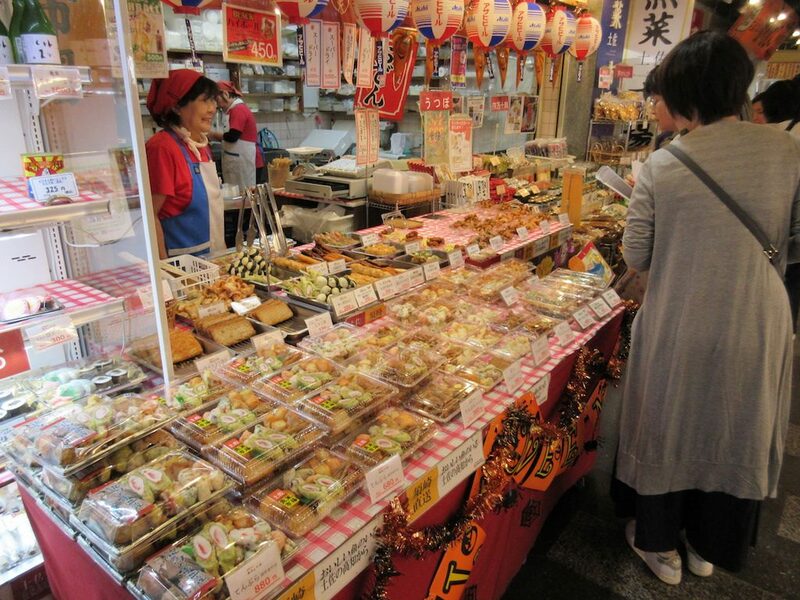 Most of the items were very tasty to us, although some folks had a hard time eating some of the dishes. Next, we visited one of China’s most famous gardens, the Humble Administrator’s Garden, which occupies an area of ten acres. The garden’s name comes from the proverb which says, ‘To cultivate a garden for a living is really the politics of a humble man.’ About two thirds of the garden is made up of lakes with islands dotted throughout. Throughout this large garden there are many pagoda-covered pathways for enjoying the gardens in rain or to gather shade on hot days. Weeping willow trees, bonsai, maples, lotus plants, azaleas and chrysanthemums abounded throughout the gardens. Unfortunately, we did not have more time to explore more of the gardens. Two of our fellow passengers, Sylvia and Beauford asked us to join them for dinner to celebrate Sylvia’s birthday. The dining room stewards brought her a cake and sang a birthday greeting to her. The evening’s entertainment was a Big Screen Movie in the main show lounge titled “On Wings of Eagles.” The movie is about Eric Liddell, one of Scotland’s greatest athletes (a runner) who won China’s first Olympic gold medal and about his return to war torn China. It is a heart wrenching movie about the Japanese occupation of China. Shanghai is the largest city in China by population with about 25 million residents and the second largest city in the world. It is the financial center and transport hub with the world’s busiest container port. 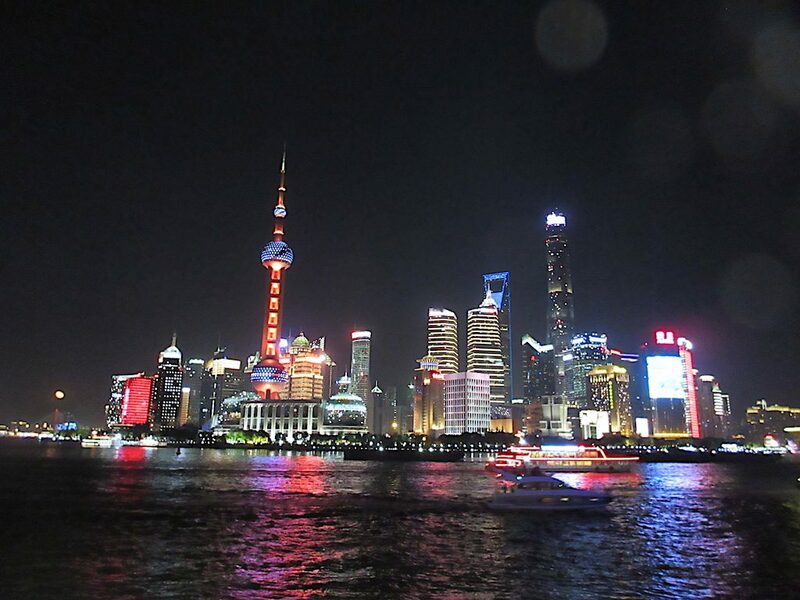 In the last two decades Shanghai has been one of the fastest growing cities in the world. Since 1992 Shanghai has recorded double-digit growth almost every year except during the great recession of 2008 and 2009. The three largest service industries are financial services, retail and real estate. Manufacturing accounts for about 40% of the total output. The container port handles more than 30 million containers annually. In the morning we walked about fifteen minutes to the Bund where we met up with Chris Lin, a student who studied at San Diego State University in 2012. He now lives about a 90-minute subway ride away from Shanghai (The Bund) and came in to town to meet us. We caught up over coffee at a Starbuck’s before heading out by the subway to meet up with another student. The subway is very extensive, modern and clean. The problem is there is a huge number of different lines going in all directions and it is difficult to navigate from one line to another. In one case we had to change lines by exiting one station and walking about a block down the street to enter another station to catch another train. For lunch we met up with another student named Jeff Tang and his wife Erica and there two-year-old daughter Emma at a “family friendly” restaurant. Jeff and Erica were in San Diego for a several years and had Emma when they were in the states. The restaurant provided you with slippers to wear when you entered the restaurant. Once inside there was a plethora of toys everywhere for the children to play with. There were cars to ride on, stairs to climb, a kitchen to play in, a stage to perform on, video games and so much more. The staff was plentiful and they assisted with watching the children play while the parents dined. They had Halloween decorations hanging from the ceiling and music playing. 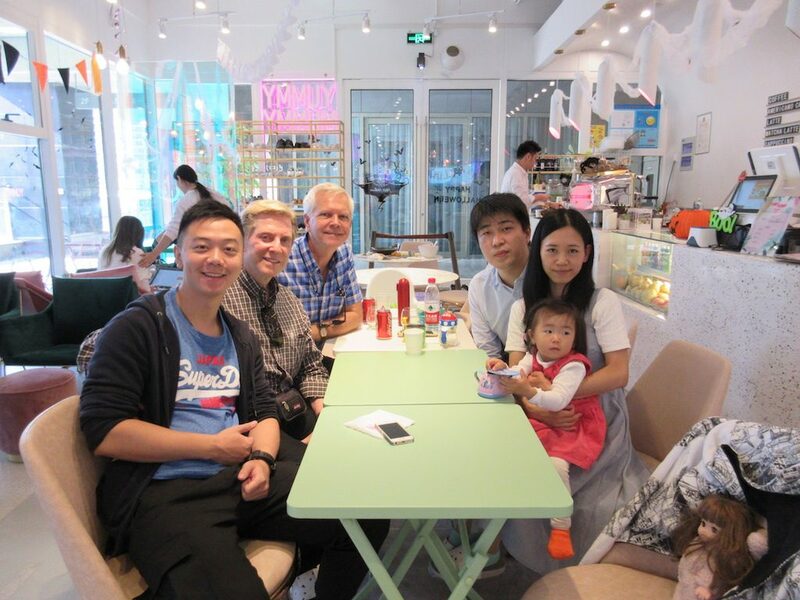 After lunch and a quick “catch-up,” we left Jeff, Erica and Emma and headed to a large high-end shopping mall in Shanghai where Chris wanted to take us for dessert. This wine, coffee, tea and dessert shop was beautifully designed with luxury finishes and was filled with mostly young professional people well dressed. The locals were on their cell phones, lap-tops and such. There is no expectation of you to hurry, you can sit and spend as much time as you like in the shop. Chris had a friend named Adrian who joined us at the dessert spot and we ordered several fancy pieces of cake. The desserts mostly had three different flavors in one cake. They would have one flavor of cake, another flavor of filling and the third flavor for the frosting. Most of the flavors were not familiar to us so we were happy to explore the unique flavors. Everything was excellent. For dinner, Chris and Adrian took us to a beautiful Cantonese restaurant. The restaurant was arranged like a large ballroom with large round tables throughout. Each table was covered in a white linen table cloth embroidered with colorful flowers and matching napkins. The menu was very extensive and of course we did not know quite what to order so the boys did the ordering. 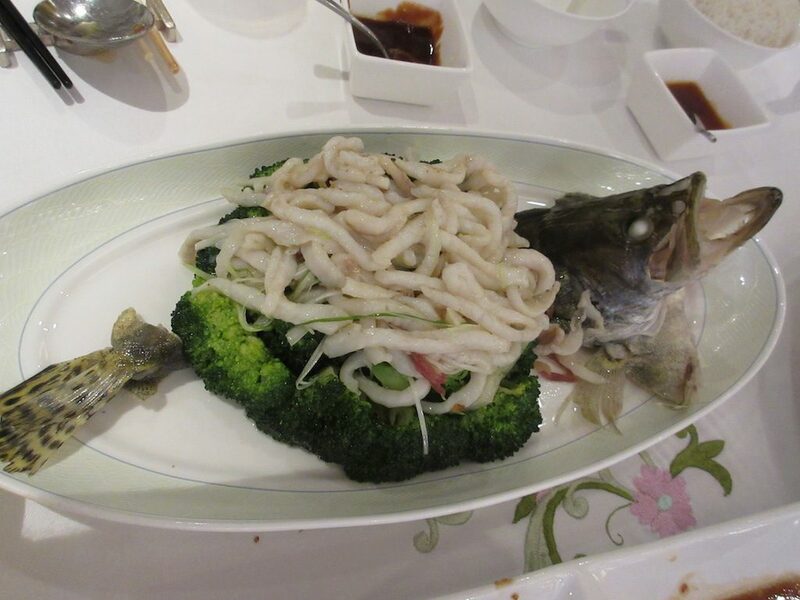 They selected several pork dishes prepared in different ways, a bread with pineapple, white rice, a vegetable dish of white mushrooms stuffed with carrots and other vegetables, a broccoli dish with fish and a chicken dish. Everything was delicious. After dinner we took a taxi back to the bund near our ship where we could admire all of the incredible lights on the buildings. The bund side of the river houses the financial center of the city with most of the buildings from its colonial past. From this side of the river you might think that you are in any European city with gorgeous traditional buildings. The other side of the river is much newer and is filled with modern high-rise towers of all shapes and sizes. At night all of these buildings on both sides of the river are illuminated. The newer buildings appear to have television screens for siding and elaborate light shows are illuminated on the sides of the buildings. The Bund is crowded with many people who come out to see the night lights. Chris gave us some gifts before we parted for the night. The first was an elegant tea set with wooden stand, tea pot and tea cups. 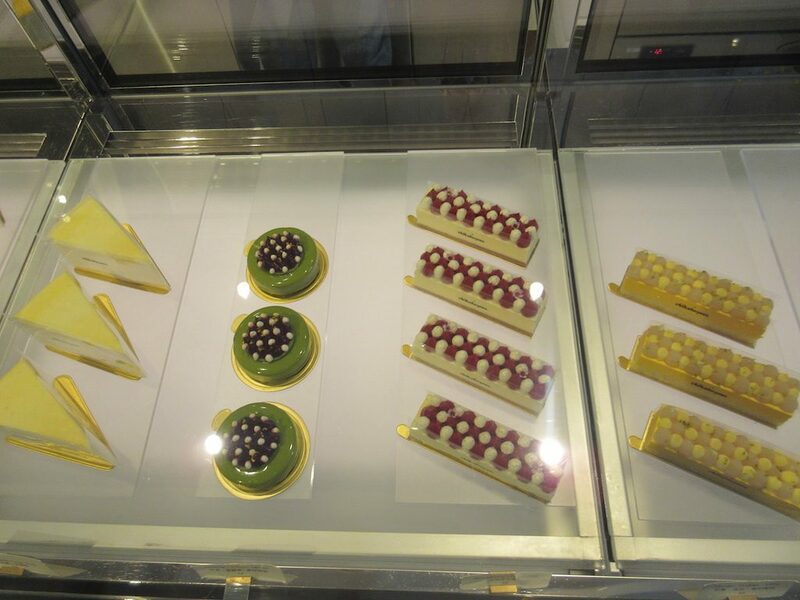 To accompany the tea, he gave us two boxes of local pastry delicacies, one with pineapple and the other with bean curd. We were sitting on the bus and were apparently mistaken for the dance hosts on board the ship (they travel in pairs). This has happened a couple of times….don’t know why. Guess we look like dancing fools…..or, more likely, we’re just a couple of men together! Back onboard our ship we were entertained by a local Chinese dance group featuring the dragon dancers, young ladies dancing, drummers all in local costumes. All in all, it was a great day for us to spend time with these students that we have shared time with in San Diego and now got a chance to visit in China and to meet Adrian. This was a quiet sea day with more of the usual activities onboard. The weather outside was warming into the 70’s with sunshine so that was nice. Indoors we attended a lecture by Ian about the upcoming port of Shanghai and what to see and do. Then the cast of singers and dancers gave a presentation about the work they do on the ship. This cast has an eleven-month contract including the time they rehearsed in London prior to boarding the ship. They have been onboard since mid-July and with stay on through the world cruise from January to May of 2019. There are four singers, two boys and two girls and six dancers, three boys and three girls. After the talk we went on a behind the scenes tour of the stage, dressing room and storage area for all of the costumes where we were able to chat with the cast. This cast has a total of eleven shows in their repertoire to perform during our stay. After lunch India’s Ambassador Krishna Rajan lectured on whether the dragon and the elephant will dance together, meaning will China and India get along. His sense of things is that they would do their best to get along even though they have disputes over territories and that they need each other. His final synopsis was more a feeling that they would prefer to watch who each other was dancing with but would not dance directly with each other at this time. They would each prefer to wait until times were hopefully more favorable to themselves to interact more. The evening’s entertainment was a joint show between the violinist Patrick Roberts and the Britain’s Got Talent semi-finalist Lifford Shillingford. This was the first of two sea days on our way to Shanghai, China. The weather is a cooler 55 degrees for the high and some clouds although we had no rain. We enjoyed many activities this day like the Morning Show with cruise director Jorge who interviewed the six onboard dance hosts. Next was the talk outlining the available shore excursions for the ports from Hong Kong to Komodo Island. We heard a lecture from Ambassador Krishna Rajan about whether this could be the century of Asia. They consider the last century a U.S. Century and the 19th Century the century of Europe. He felt that it was quite possible but that there are still a lot of issues that may affect this being the century of Asia. In the afternoon there were two lectures by Captain Thomas G. Anderson. The first was about the Communications at Sea: Whistles, Codes and Flags. The second was about the Nautical Origin of Everyday Expressions. In the evening the dining room was decked out in hundreds of red Chinese lanterns and Dragons for a Gala evening dinner. On the Gala nights the menu normally has things like steak and lobster or chocolate soufflé. The veal was excellent on this night as was the carrot cake. The evening’s entertainment was a show by the Amsterdam singers and dancers called Amour. The show was a compilation of songs from Chicago to Gloria Estefan. It was an upbeat and entertaining show although the seas were quite rough making it difficult on the dancers to perform. 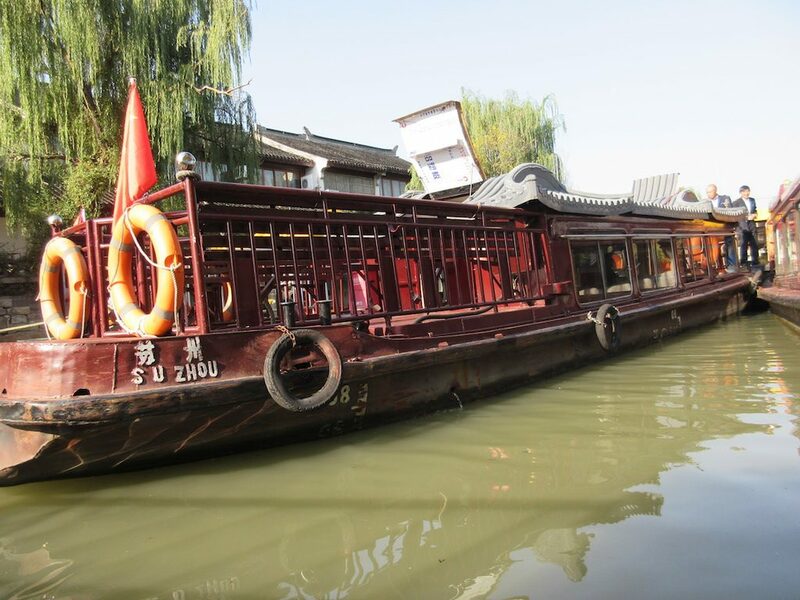 Our shore excursion was titled “The Best of Tianjin”. 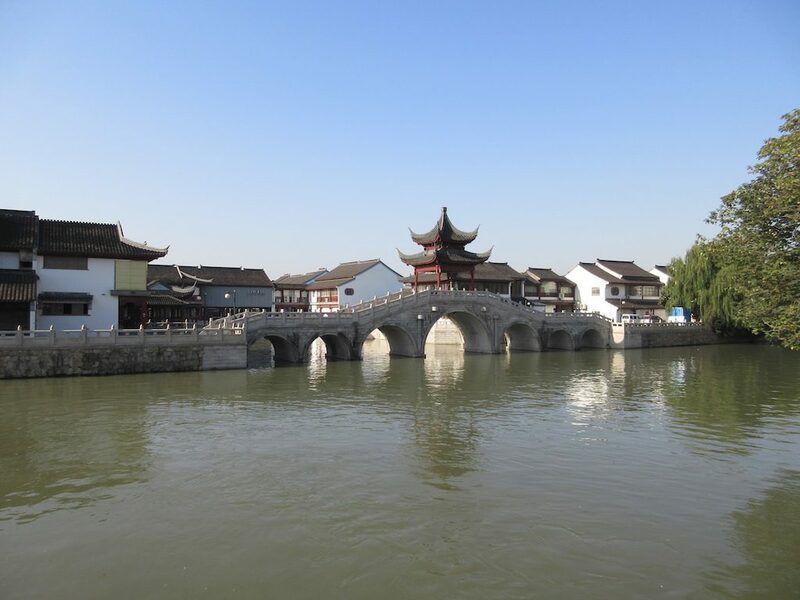 We departed Tianjin’s pier, driving through the countryside of China to the city of Tianjin. 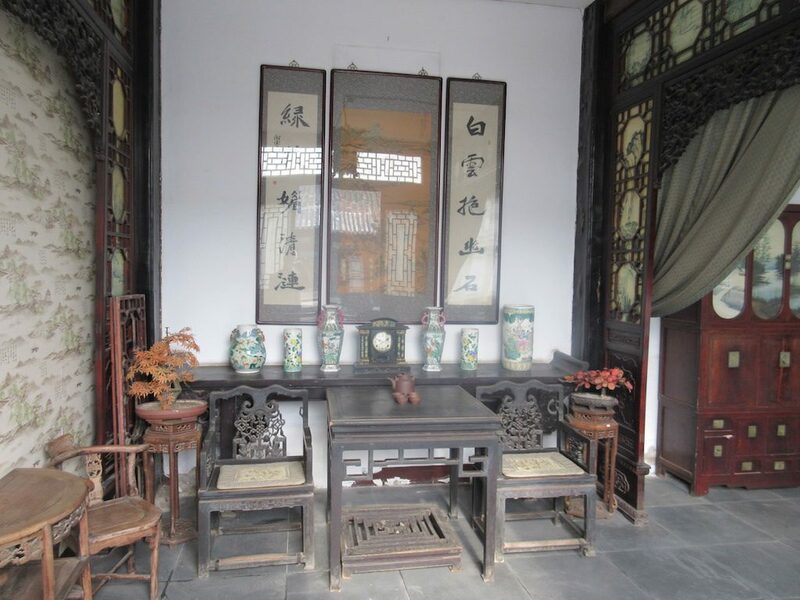 Once in the city, our tour began with a visit to the Shi Family Mansion, acclaimed as ‘the Number One Mansion in North China.’ Built in 1875 and with a footprint of more than 100,000 square feet, the mansion has 12 courtyards — each with a specific function. 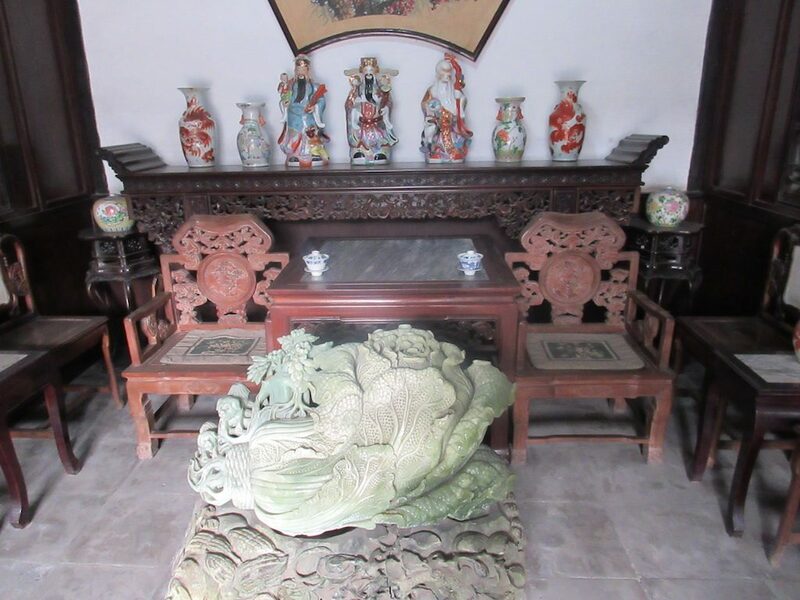 The courtyards are now the site for a local Folklore Museum, whose brick, wood and stone carvings are among the best in north China. Surrounding each courtyard are buildings for different functions. The Shi family became very rich by transporting crops for the emperor on the manmade canal running north and south through China. 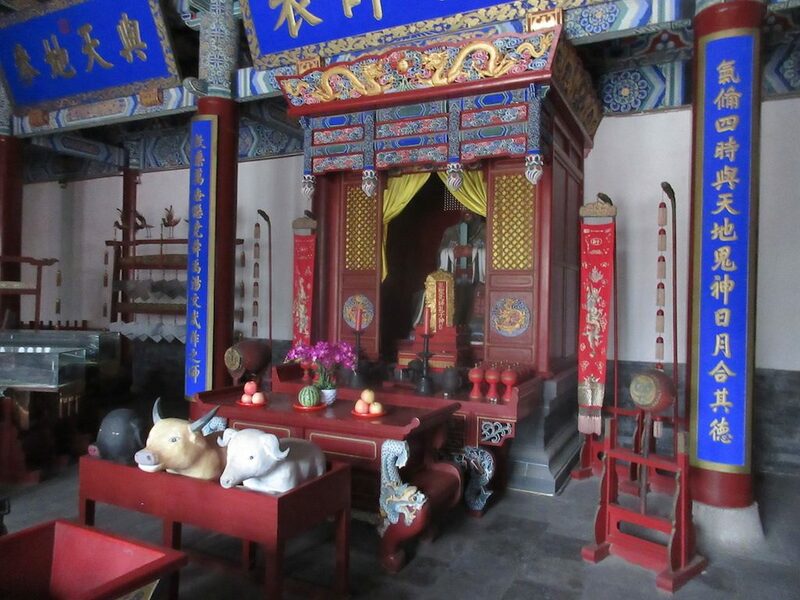 Many of the rooms in the Shi family residence are furnished with items from the time the family lived in the home. 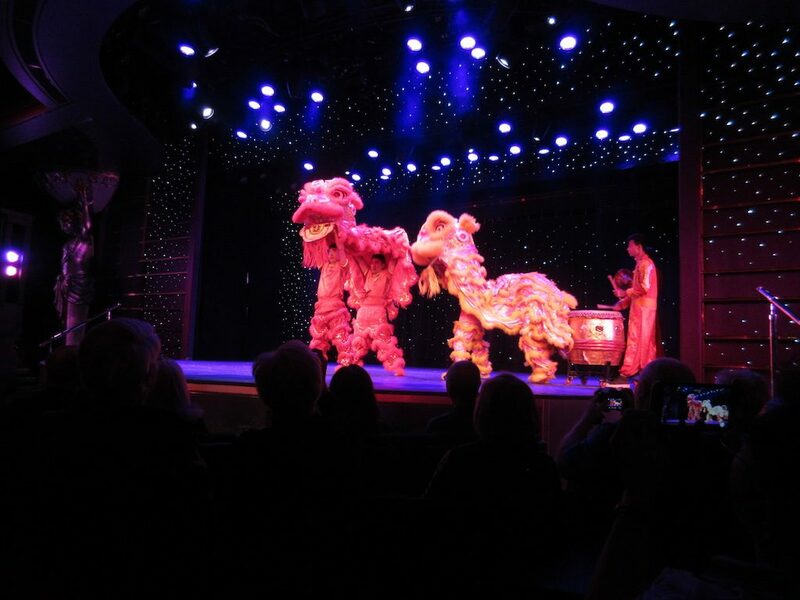 There are also a variety of exhibits about famous people, Chinese wedding ceremonies and more. It is well preserved although renovations continue to restore and maintain such a large property. (Only 30% has been restored to date). It is really an amazing residence. Our next stop was at the Tianjin Museum, moved to a modern new building in 2012, this state-of-the-art museum not only tells the history of the city of Tianjin, but also has a large collection of arts and crafts treasures. 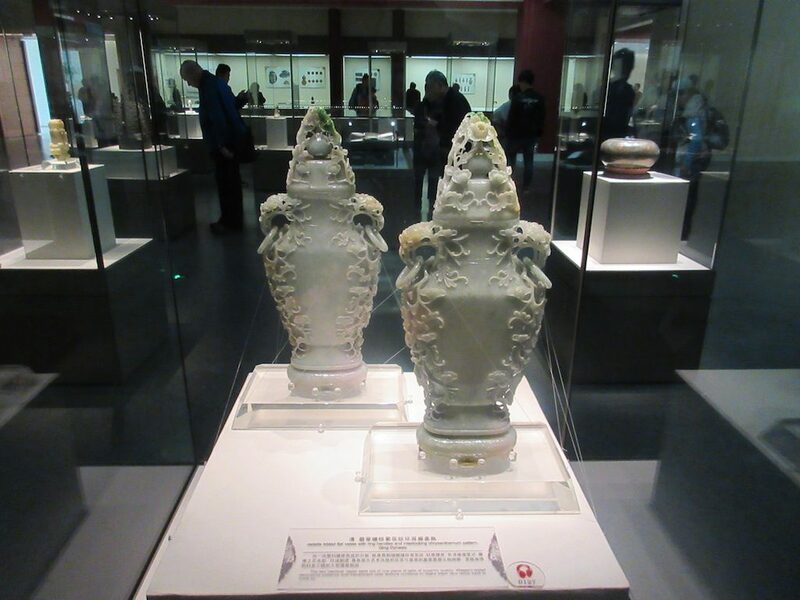 A collection of some 200,000 items of bronzes, porcelain, calligraphic works, jade ware, seals, oracle bones, coins, stamps and much more are also on display. Both architecturally and collection wise this was a beautiful museum and we wished that we had more time to look around it. 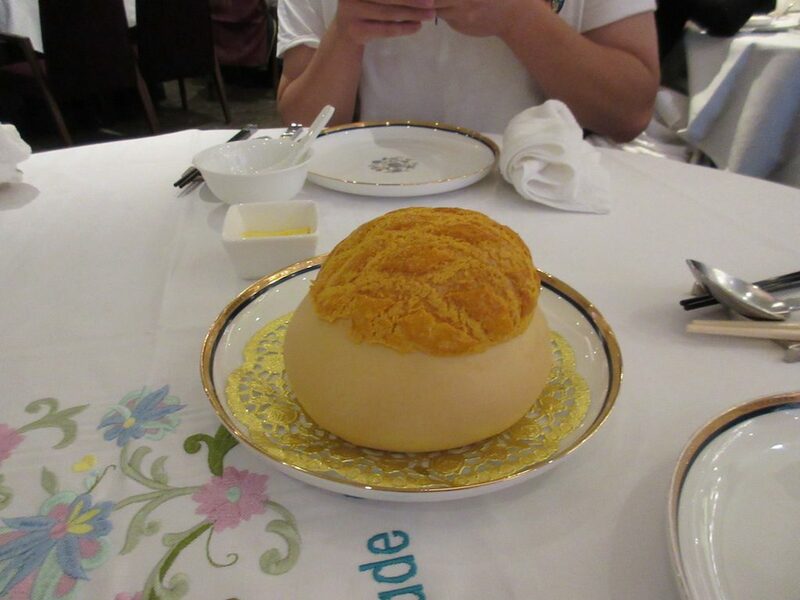 Lunch was served at a local hotel restaurant. There we had the traditional style Chinese lunch served at large tables of ten with a large Lazy Susan in the middle. They served us a large variety of dishes from vegetables and fruits to rice and meat dishes. It was all very tasty. However, the locals in the restaurant were all busy smoking a few feet away which made a not too inviting atmosphere. After lunch we visited a Confucius Temple considered the third largest in China. The temple was spread over a large parcel of land with many smaller courtyards with bridges, ponds, altar buildings and archways. The buildings were painted in bright colors of blues, reds and yellows. Many of the buildings on the property were filled with altars for offerings although on this day there were very people at the site. Many of the buildings needed new paint. Our last stop of the day was at Ancient Culture Street, depicting aspects of life in China. 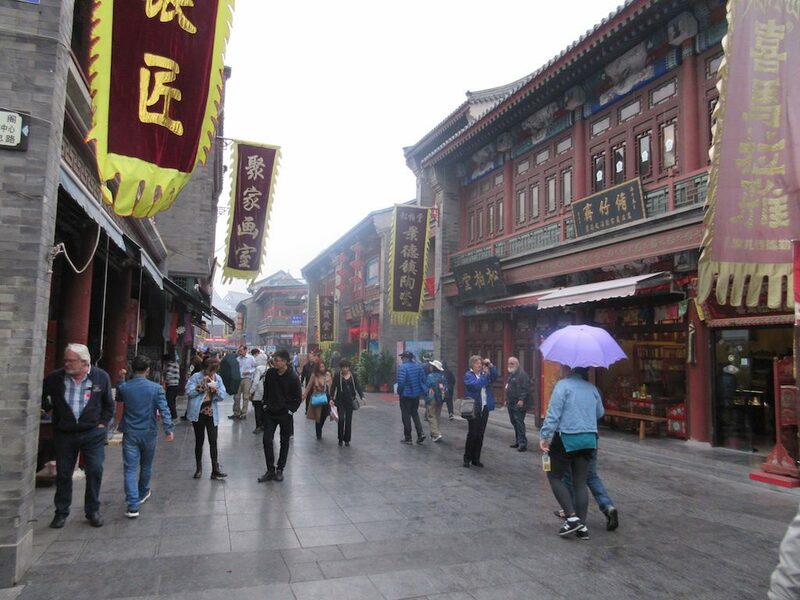 This pedestrian only street was filled with traditional Chinese style buildings filled with shops of many types of arts and crafts and food items. 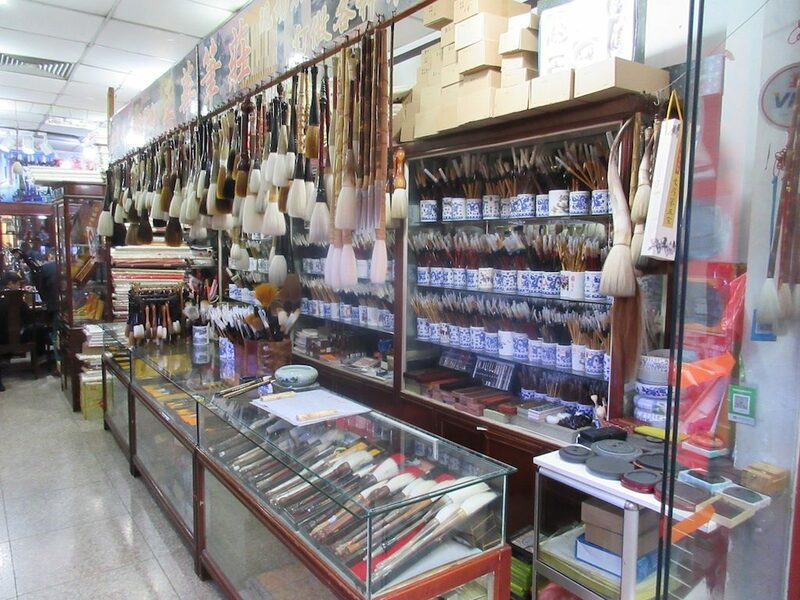 The most popular style shop was one that sold paper, brushes of all sizes and ink for calligraphy and art. They were also selling the traditional bottles with paintings inside of them. Our weather had been excellent but we did have a bit of rain this afternoon at this stop. For the evening’s entertainment we enjoyed another movie by the BBC called Frozen Planet in concert. Beautiful photography of the arctic and Antarctica with penguins, birds’ mice, etc. The Amsterdam musicians accompany these films with classical music made to highlight the move. Very nice. Tianjin is a huge metropolis of a city with a population of more than 15 million residents, but it is only the fourth largest in China. Tianjin is the gateway port to the city of Beijing which is about 75 miles to the northwest. Tianjin has major industries like petrochemical industries, car manufacturing, metal working and an assembly plant for the airbus A320 aircraft. The weather was mild with a high of 70 degrees although the skies were brownish with pollution from China’s manufacturing and use of coal. 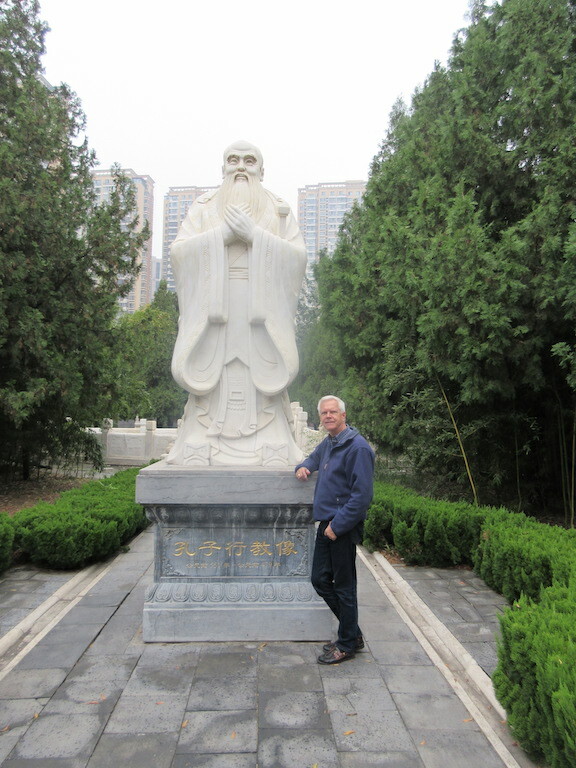 We had a very quiet day as we did not schedule any tours into Beijing as we had been in China on a land tour some years ago. Instead we took the free shuttle from the ship to a local huge shopping mall (Aeon Mall) about thirty minutes away. The mall was a very modern two-story structure with several food courts, a market, clothing shops, housewares and furniture and more. We bought nothing! The roads from the ship to the mall were extremely wide with six to eight lanes each with very little traffic on them. Along the roads there are many high-rise apartment-looking buildings although they appear to be vacant (we don’t know why). The driveways into them are blocked with construction partitions. Also, of note is the fact that we saw no local businesses for local residents like a market or gas station near these apartment buildings. Not sure why they may have built all of these buildings if they did not intend for them to be occupied. Back onboard the ship we had lunch, Mark worked on the community puzzle and Kent enjoyed an afternoon movie, the 2010 version of Karate Kid. After dinner we enjoyed a local Chinese Acrobatic troupe that came onboard to perform for us. They juggled, contorted, created human pyramids and even had a clown that performed. On this sea day we attended several lectures on a variety of topics. The first was a lecture by Ambassador Krishna Rajan on the Rise of China and what it means to the world. His opinion was that it would not be possible to stop China from growing at this point but that the world would need to learn to keep them at bay. The second item of note in his opinion was the fear that China’s economy would stall and create an international crisis. China has been spending an incredible amount of money around the world creating a huge deficit. Next, we attended a lecture by Ian about the Secrets of the Forbidden City. He spoke about things to see in the forbidden city and said that the government was in the process of building an underground museum at the site as well as restoring many more buildings in the complex. The construction is expected to be completed by 2021 at which time many more structures within the forbidden city will be accessible to tourists. In the afternoon we attended a lecture by Captain Thomas G. Anderson about the Coastal Megacities of Southeast Asia. Most of these cities are located along the coast and over time more and more people are moving from farming to cities for work and a better way of life. This trend is expected to continue causing more and more megacities to be built. Next, Ian had another lecture on Temple Etiquette and the Statues of Buddha. He spoke about the many different poses you would find in the Buddha statues and what the meaning of the poses meant. He also spoke about how to dress, point and about not wearing shoes in temples as a means of respect. In the late afternoon we were invited to a cocktail party hosted by Tom, the host of our travel agency that is onboard. They served drinks and appetizers for about an hour and we were able to meet a few more folks traveling with our group onboard. For dinner we met up with Clydie, a woman who is traveling with our group and we met in L.A. the night before we boarded the ship. Along with her were two assistant cruise ship directors. Kass from Australia who runs the library and the book club and Amanda who is from Washington State and does many of the onboard exercise classes. The evening’s entertainment was a second show by Jo Little the great vocalist and comedian. We thought that her show on this night was funnier and more entertaining and the audience appeared to be laughing more. This was the first of two sea days on our way to Tianjin, China, the gateway to Beijing. The weather was considerably cooler and the skies were gray once again. We were so lucky to have beautiful sunny days while we were in Japan. Two new lecturers are onboard for another round of interesting and thought-provoking topics. The morning featured Ambassador Krishna Rajan who spoke on “How China sees itself and the world.” He outlined China’s plan for retaking control of the world through several means. The first is the construction of a new rail system along the route of the old silk road. They have also developed and paid for the construction of ports throughout Asia and Europe. They contribute billions of dollars to assist foreign countries with infrastructure to help them become self-sustaining and in turn need more products from China. China continues to build islands in the China Sea to expand their border lines. China wants to take back control of territories lost over the last century as a buffer zone against the rest of the world. Ian gave a lecture on things to see and do in Tianjin and Beijing. He also gave a lecture on the word “Kamikaze,” its history and meanings today. Kamikaze in Chinese means Divine Wind and it once referred to soldiers willing to make suicide missions on behalf of the ruler. Young men would fly into harm’s way to drop bombs, risking their own lives to assist the country. Today Kamikaze is used to describe all things from drinks to rides at the local county fair. In the afternoon a new lecturer, Navy Captain Thomas G. Anderson, spoke on “China and the Geopolitics of their Inland Waterways.” He discussed all of the waterways in China and how they play an important part in the success of the country. Waterways are vital to the success of any large country to expand inland and to transport goods. During the cocktail party, a fellow passenger, Peggy, came up to us and suggested she had had her eye on us since embarkation and wanted to talk with us. (Think she thought Mark was a movie star or something.) She was very complimentary and hoped we could talk more with her during the cruise. We said we were happy to do so. The evening entertainment was an Amsterdam Singers and Dancers Show called Rule Britannia! The show was a musical look back at the past fifty years of the UK’s pop history. The show included songs from the Beatles and the Rolling Stones to current artists like Coldplay and Adele. This morning the weather was glorious with sunshine and warm temperatures. We transited the Kanmon Strait this morning between two of the main islands of Japan transiting from the eastern shores to the western shores of Japan. The narrow strait is heavily trafficked with cargo ships and many industrial sites along the shores. We arrived in Fukuoka about noon. 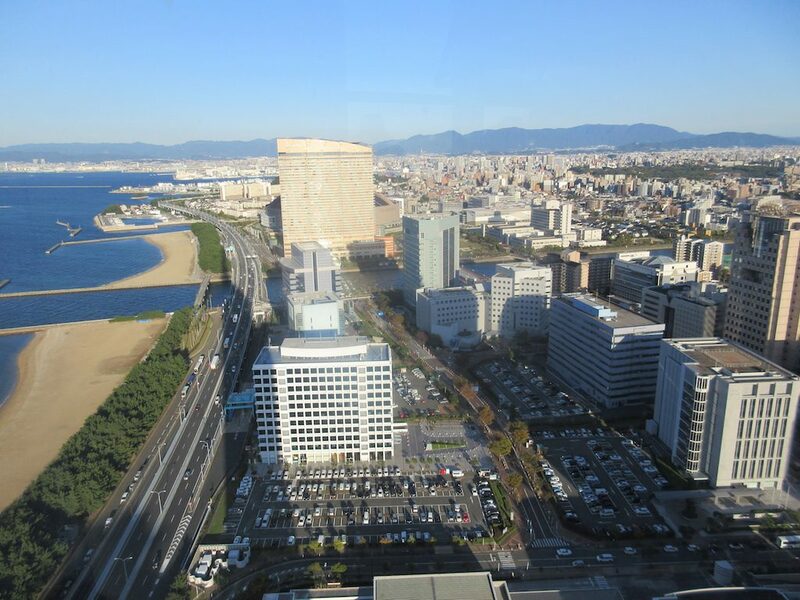 Fukuoka is located on the northern shore of the island of Kyushu and is the most populous city and metropolitan area on the island with a population of about 2.5 million people. About 1.5 million of those live in the city. This area like so much of Asia has a humid subtropical climate with hot humid summers and relatively mild winters. This city sees an average annual rainfall of 63 inches mostly between the months of June and September. The humidity averages 70% and about 40% of the year it is cloudy. Fukuoka is Japan’s youngest major city and has Japan’s fastest growing population. Many universities–both national and private–exist in the area and is home to about ten thousand international students. 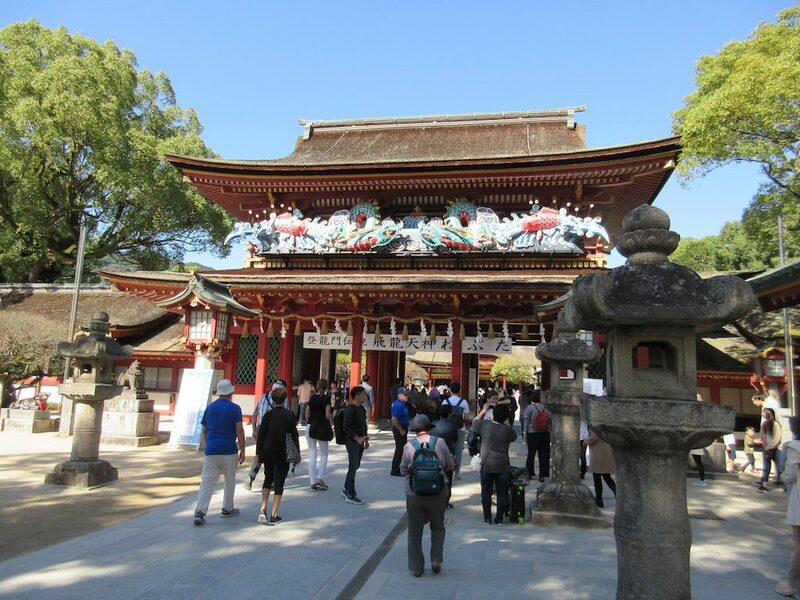 The shore excursion we took on this day was called “Kushida & Dazaifu Tenmangu Shrines and Fukuoka Tower.” We first drove to the Dazaifu Tenmangu Shrine where we walked about 15-20 minutes to reach the shrine from the parking area through a pedestrian only shopping street. The shrine was dedicated in 905AD to scholar Sugawara no Michizane commemorating a Heian official renowned for his learning and his purity of heart. 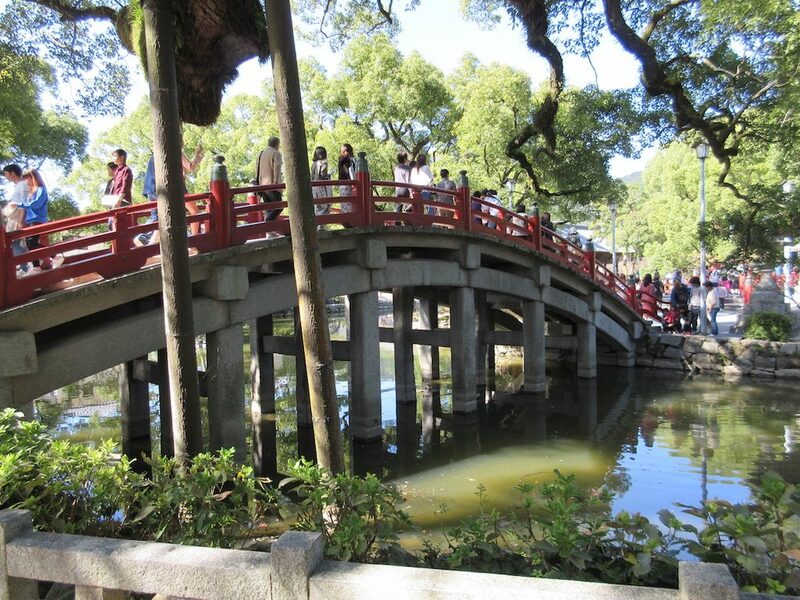 The current shrine dates to 1591 and is a classic example of Momoyama Period architecture with its elegant, Buddhist-inspired bridges, serene ponds and ancient camphor trees. Michizane was so admired that there are now 12,000 shrines dedicated to him across Japan. This famous shrine to him is well known for its 6,000 plum trees that blossom in the early spring. 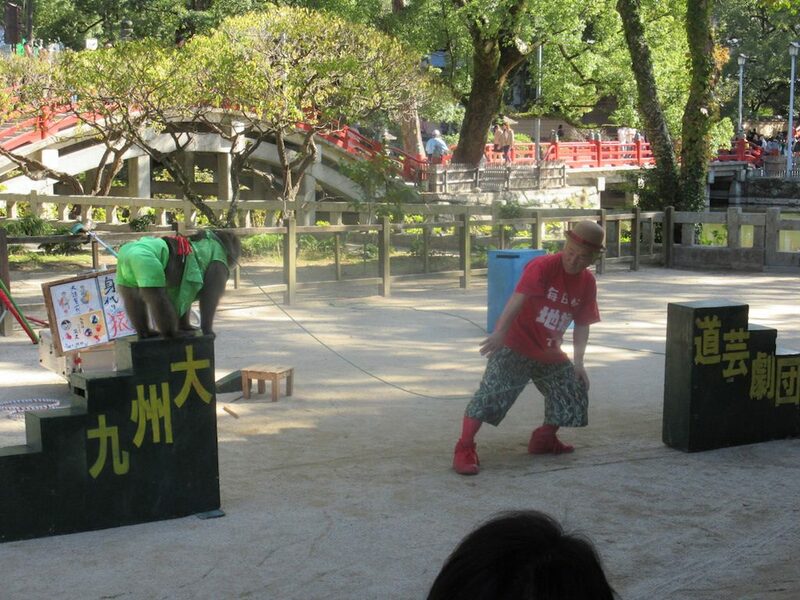 Of note was the trained monkey performing tricks like walking on stilts and jumping from one platform to another. The monkey and its trainer gathered quite a crowd and many people put coins in his hat after each show. We then continued to the Kushida Shrine in the heart of Hakata, passing through the Tenjin Business District on route. The shrine is very ornate and featured a lot of unique structures, shrines and garden areas. Founded in 758AD, the shrine is the starting point for the Oiyama race that ends the city’s annual summer festival on July 15th each year. 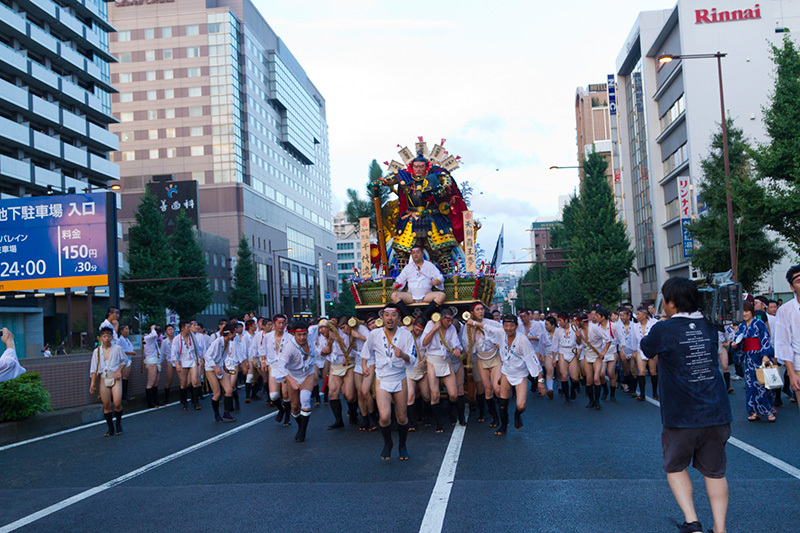 Competing in the race are seven teams, representing different boroughs of the Hakata district of Fukuoka. The members of each team are clad in nothing more than a simple loin cloth and a short coat. The teams compete to carry a portable shrine along a five-kilometer course lined with cheering spectators who douse them with water. It takes around 30 men to shoulder the one-ton float, which is weighed down further by the team members sitting on top of it and shouting out directions and encouragement. At birth and ages 3, 5 and 7, Japanese take their children to a Shinto Shrine to ask for good health and life. We saw many young kids dressed in beautiful Kimonos at the shrines for this occasion with their proud parents. Often the grandparents are with them and the entire family is dressed up for these special occasions. We then visited the iconic Fukuoka Tower, considered a city landmark, it’s Japan’s largest seaside tower. Standing 767 feet tall, it is quite a sight, covered in 8,000 one-way mirrors that reflect the sunlight and passing clouds. At night the exterior of the tower is illuminated with changing lights depending on the season. Currently the lights represented Halloween that has become very popular in Japan. There are three observation decks including one for dining, each boasting 360-degree views of the area. The Tower functions as a broadcast antenna for TV and radio networks. After dinner we enjoyed another short presentation of six Geisha’s. Four were dressed in the traditional kimono with white faces and red lipstick while the other two sang and played the guitar like instrument. The dances are called Tachikata Dances and the stories they sing are about love, sorrow and nature. The weather on this day was absolutely perfect with clear skies and temperatures in 70’s. 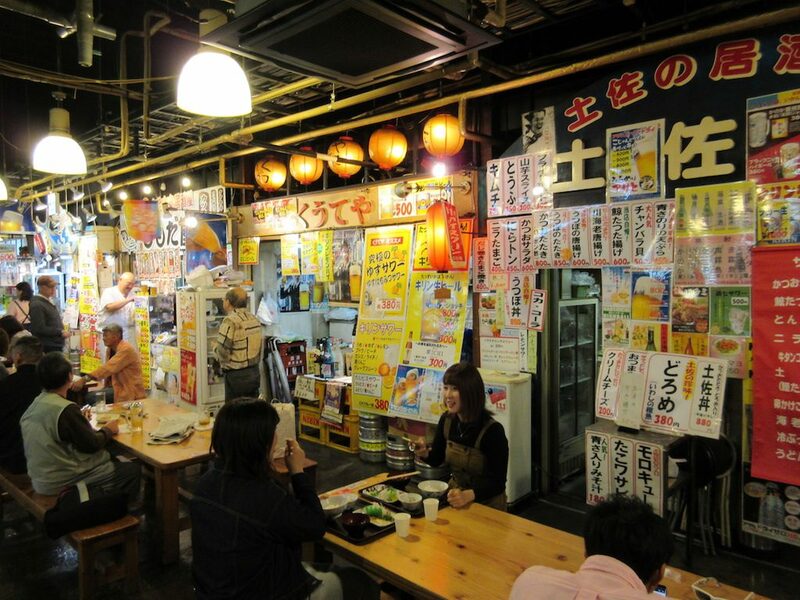 Kochi is located on the island of Shikoku and has a population of about 335,000 people. The city is exposed to the Pacific Ocean making it the most typhoon prone major city in Japan. It has twice received over 20 inches of rain in a single day from typhoons. 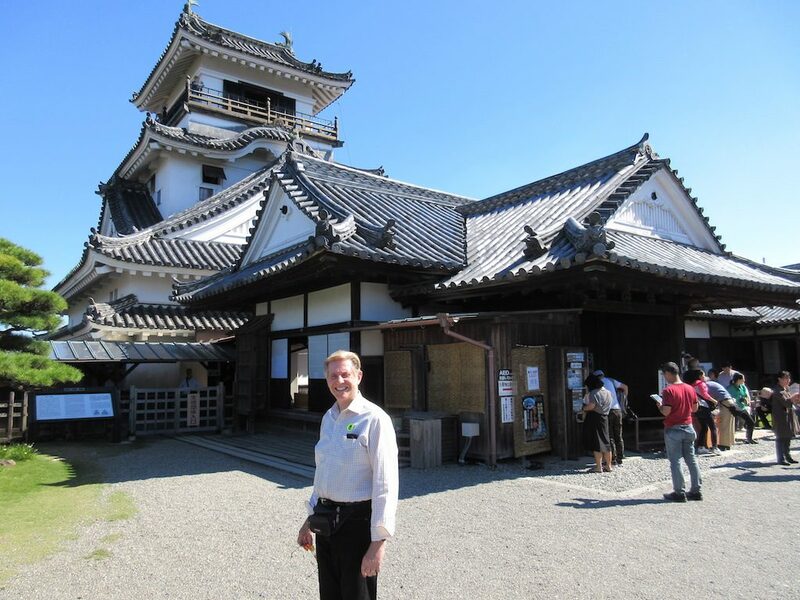 The tour we took on this day was called “Kochi Castle & Katsurahama Beach.” Our first stop of the day was at the Kochi Castle Museum of History housed in a very modern building across the street from the Kochi Castle. The museum houses a collection of some 67,000 historical materials and artworks. We visited the third floor of the museum where they had a variety of artworks and information on famous people from the Kochi Prefecture during the mid 19th-Centruy. Kochi Castle, the city’s most famed landmark, dominates your views from any vantage point in town. Built by Yamanouchi Kazutoyo following the Battle of Sekigahara in 1600, the massive castle took more than 10 years to construct. 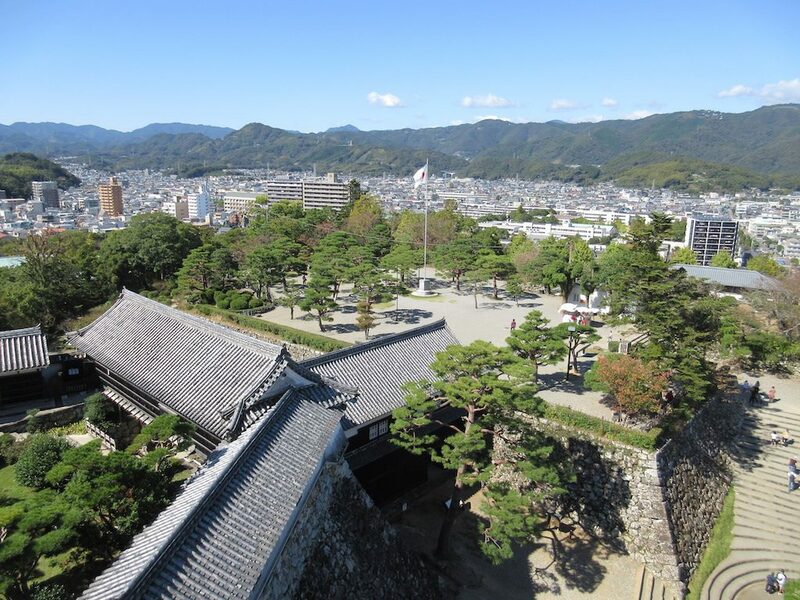 In 1727, some of the fortress was destroyed in a fire, but later, in 1753, it was reconstructed with the “donjon” and the splendid Otemon Gate remaining as originally constructed. Kochi Castle has undergone several preservations over the years, but it has retained its original Edo period architecture and the integrity of its architectural style. The main tower of the castle was quite spectacular, all built of wood and six stories tall. We climbed the steps of interior staircases to the top to enjoy the great panoramic views over the city. Inside, many of the ancient rooms are not accessible to the public, but we were able to visit a small museum in the castle with a small collection of cultural artifacts. We passed the beautifully-restored Tsumemon Gate that connects the second citadel of the castle to its inner sanctum. We then visited the honmaru, or wall or ring of defense, preserved in its original entirety, with unique holes for guns, pouring hot oil and arrows. All of the structures in the honmaru are designated as Japan’s Important Cultural Properties and house both local and historical treasures. Back outside, we strolled the castle grounds, now a popular public park, dotted with magnificent statues of the Yamanouchi family. A 30-minute scenic drive took in some of Kochi’s popular sights, including the Harimaya Bridge that is the subject of a popular folksong, and the Harimayabashi Shopping District, which sports a wooden arcade and a large mechanical clock. 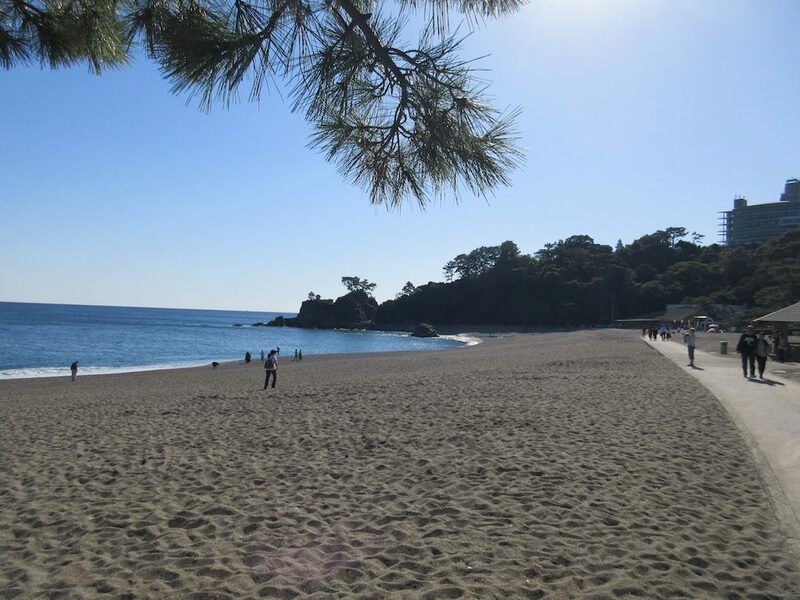 At the shoreline we visited our next destination, Katsurahama Beach. Famous for moon-viewing parties, the beach is home to a monument commemorating Sakamoto Ryoma, one of the founding fathers of modern Japan. He is credited with spearheading a bloodless revolution to transform feudal Japan into a modernized, unified nation. We were given time to explore the picturesque beach area. 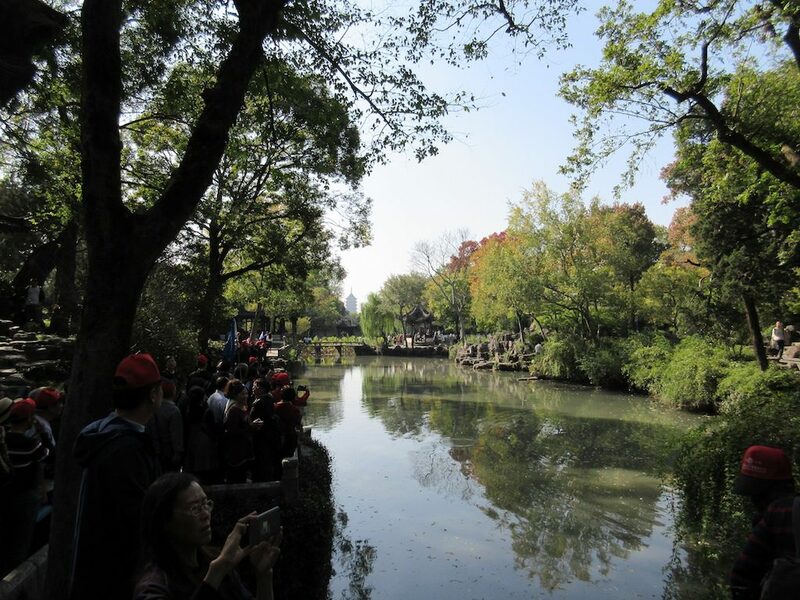 In addition to the beautiful scenery and pleasant walking paths, there was a small aquarium, a small shrine and other attractions that the locals come to enjoy. We had a four-course dinner in the Italian specialty restaurant onboard called the Canaletto with some of the folks from our travel agency. They invited all of their customers to dine on a variety of evenings and ours was on this night. Following dinner, we enjoyed Australian Sony music recording artist Patrick Roberts in a show called Prince of the Violin. He was accompanied by the Amsterdam show band and played a variety of music form Frank Sinatra to the Beatles and Les Misérables to Led Zeppelin.